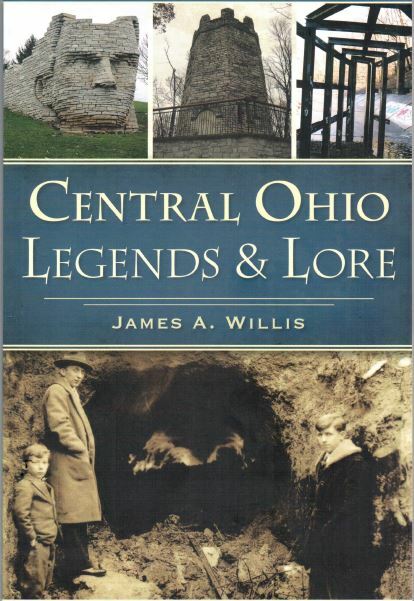 Central Ohio Legends & Lore “Legends from the Heart of Ohio” by James A. Willis. The legendary tales of Central Ohio reach far beyond the region. Bigfoot-like creatures have been sighted in the state since the 1800s. Wright-Patterson Air Force Base was the headquarters for the military’s investigations into UFO sightings in the mid-twentieth century. Some of Johnny Appleseed’s earliest orchards were planted near present-day Steubenville, Mansfield and Lima, and a farm in Nova boasts the last tree planted by Appleseed. Join James A. Willis as he travels across Central Ohio and delves into the Buckeye State’s stories of murderous villains, courageous heroes and even a few ghosts and monsters.